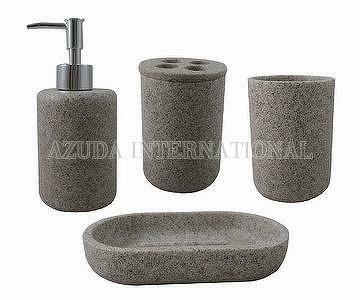 Taiwan Cylinder Sandstone-II Poly Bathroom Set | AZUDA INTERNATIONAL LTD.
Poly sandstone bathroom accessories including lotion dispenser, toothbrush holder, tumbler and soap dish. 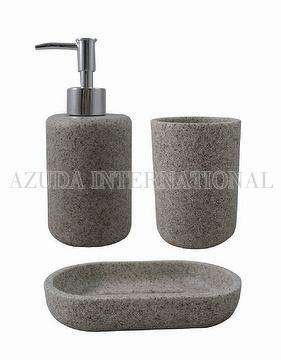 Cylinder shape in natural sandstone color. 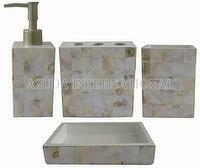 Classical design fits in all kinds of indoor decoration.